The White Coast is one of Europe’s leading destinations for British holidaymakers. 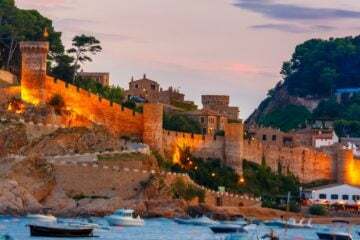 This bustling coastal town has a lively social scene with plenty of bars and restaurants, as well as breathtaking beaches where you can enjoy the heat of the Spanish sun. 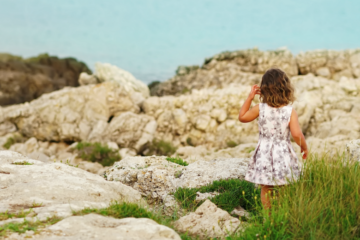 If that wasn’t already enough, Costa Blanca is also incredibly family friendly; from thrill seeking water sports right through to educational museums – there really is something for everyone. 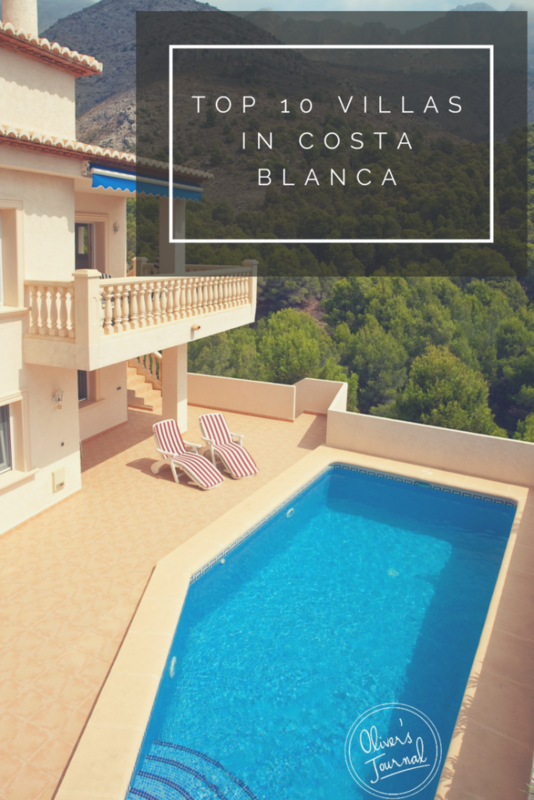 So whether you’re looking to catch a golden tan or see the sights, the wonders of Costa Blanca will leave you spoilt for choice. 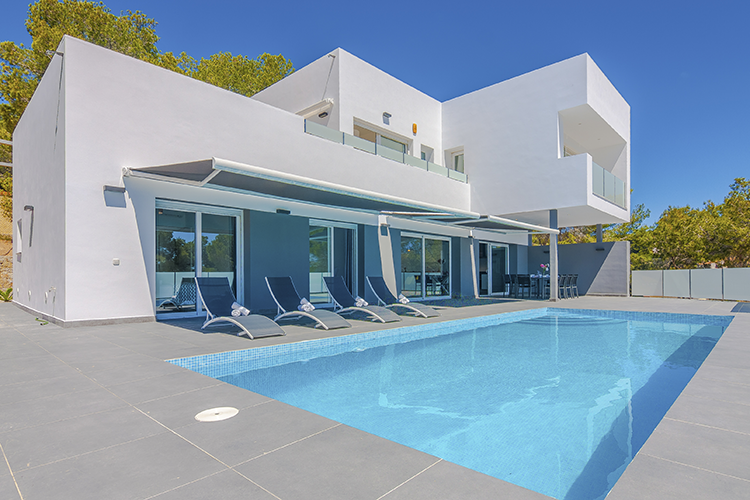 Dive in and take a look at our handpicked luxury villas in Costa Blanca – your dream villa might just be a click away. If you’ve come to the costa to relax and unwind, Villa Bazan is the place to do it. The villa’s unique architecture allows for large spaces that let in natural light from all sides. From the open plan living areas, you’ll have priceless 360-degree ocean and valley views, and the lucky inhabitants of the master bedroom will be able to look out on the waves from their private sunken bath. In the beautiful child-friendly gardens you’ll all be able to lounge on sunbeds by the pool and enjoy meals by the barbeque. There’s nothing better to come home to after exploring the local village and its gorgeous local vineyards. 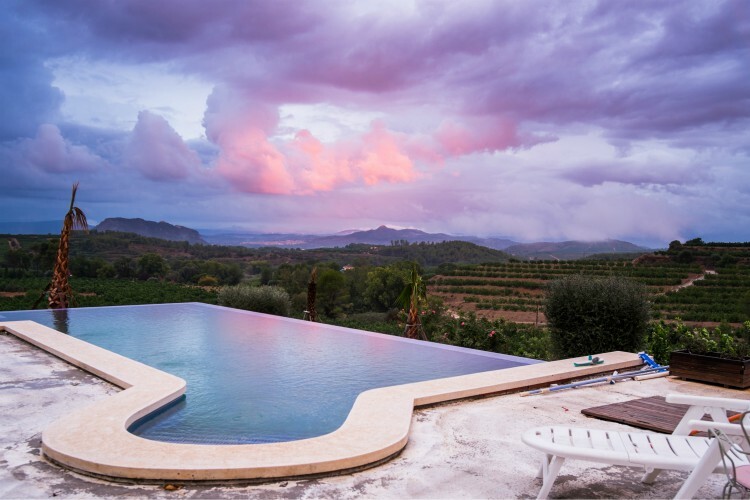 Tucked away in in the Montgó area of Jávea, Villa Brais is a hillside holiday home of dreams. The peaceful and private gardens are spacious enough for large parties travelling together, and there is no better lounge space than the large blue pool and terrace. Villa Brais also happens to be the perfect place to discover the region’s charm and hidden gems. In just a few minutes, you can drive to the ever-golden Arenal beach, and around Jávea you’ll find some of the best seafood restaurants around. 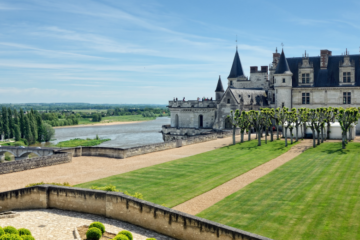 Make sure you tour some of the great local architecture while you’re already there! Super cosy and buckets of charm, Brisa Breeze is a great choice for a family or couples looking for a romantic getaway. The outdoor space is simply lovely, you can relax in your very own private infinity swimming pool while taking in the surrounding stunning sea views. You can even cook up a Spanish feast on the outside barbeque and dine al fresco on the covered terrace – deffo go with some prawns, the Spaniards love their seafood! 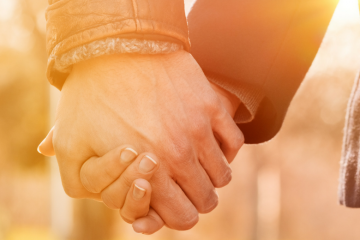 You’ll have everything you need for a wonderful stay and plenty to do with easy access to the amenities including supermarkets, restaurants, bars and the wonderful beaches. For a villa that ticks all the right boxes, look no further than Villa Giusi. From the contemporary build, crisp finishings and the ultra-luxe positioning next to the Spanish coastline, there’s a slice of the action for just about everyone. During the day you can relish your downtime by the pool, afternoons can be spent by the chiringuito and evenings can be spent sampling one of the many delicious restaurants on your doorstep. By the end of the week, you’ll be dreading your goodbyes. 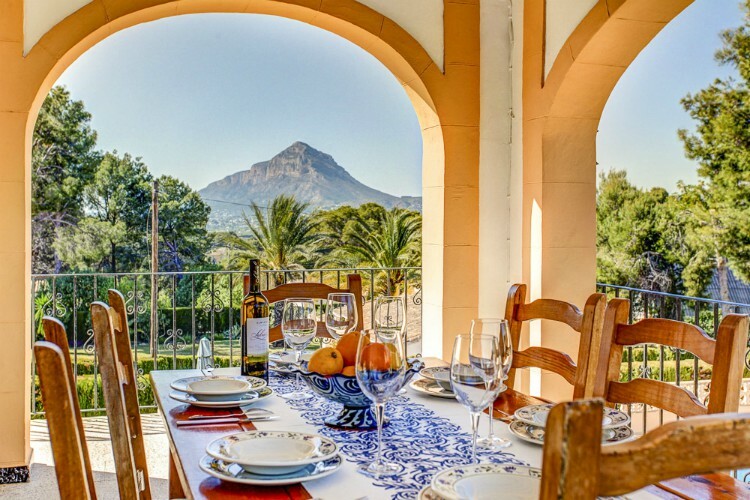 With authentic, traditional features paired with comfortable interiors, Villa Fanny is a top choice for a holiday in the sun-drenched Costa Blanca. Set across three levels, the villa accommodates up to 10 guests across 5 spacious bedrooms. With temperatures reaching 30 degrees, you’ll no doubt spend your time cooling off in the private swimming pool or relaxing on the comfortable sun loungers. Either way, it’s paradise. Chic, minimalist style interiors, the alluring blue private pool and just 1km from the beach, Villa Manolo is the ideal upmarket villa for those wishing to relax and enjoy the delights of White Coast. The open plan living-kitchen-diner is decorated and furnished in a contemporary style and equipped with everything you need for some fine dining. The large patio doors open to the terrace where you can soak up the sun rays on the ultra-luxe sun loungers by day and dine under the sparkling stars by night. 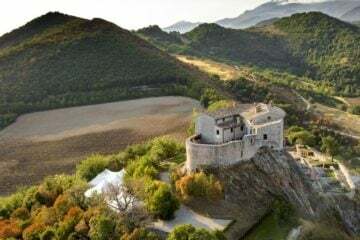 The picturesque drive to this traditional Spanish farmhouse takes you along blissfully scenic roads and charming little villages until you find Finca Abogat situated on a gentle hill. 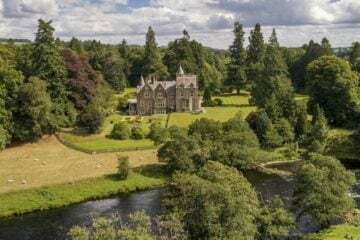 This property is not only breathtakingly beautiful but it can sleep between 10-44 people at maximum capacity! A definite option for large group retreats. If you’re looking to branch out, in the nearby town Xativa, you can find little markets, restaurants and antique shops. Don’t fancy leaving home? We don’t blame you! You can spend your days admiring the colourful gardens or making the most of your private infinity pool. This Spanish Villa is perfect for a small family wanting a peaceful retreat and its cul-de-sac location will give you plenty of privacy for some down time. Your stay will be nothing but bliss whether you’re relaxing in the sun, cooling off in the beautifully tiled pool or sitting on the balcony overlooking the valley. Villa De Anda is authentically Spanish, furnished in a traditional Castilian style with carved wooden furniture in the comfy lounge. With a stunning vista of the opulent mountains and glistening sea, Casa Orosco has everything you need! With three bedrooms, spacious living areas and private grounds you’ll definitely be living comfortably on holiday. 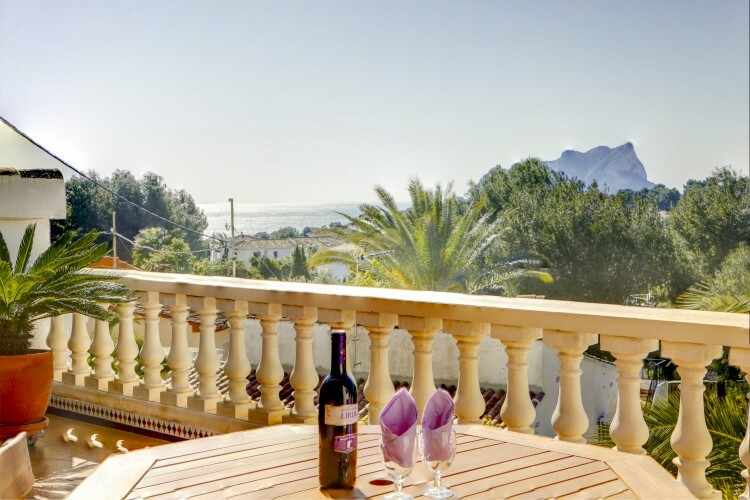 Residing in the upmarket charming neighbourhood of Javea you’ll also be close to local shops, but still, l have all the perfect peace and quiet you need for a truly tranquil holiday. You can make your sunny escape that extra bit special by personalising your holiday with our concierge service! Remember, these are just a few of our villas in beautiful Costa Blanca, but there’s plenty more! What are you waiting for? Give our lovely sales team a call and we can find the right holiday home for your perfect break in the Spanish sun.